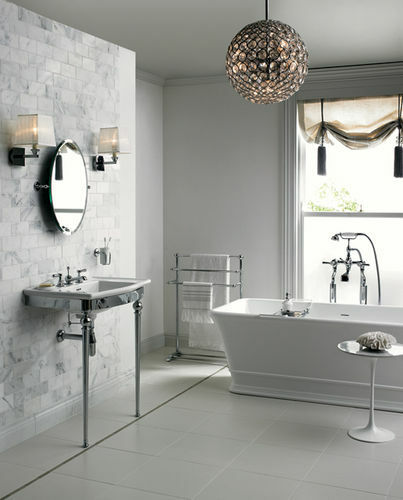 This week we wanted to give you a few inspirational bathroom ideas, after all you won’t know what you really want unless you have something to get the creative juices flowing. A monochrome colour scheme can really make a bathroom feel super smart, especially if the accessories are carefully chosen. Think about your bath's placement, as you can see this one is fitted directly in front of a window. This bath is located in the focal point of the room, but it also creates a feature wall behind the sink with stylish tiles. 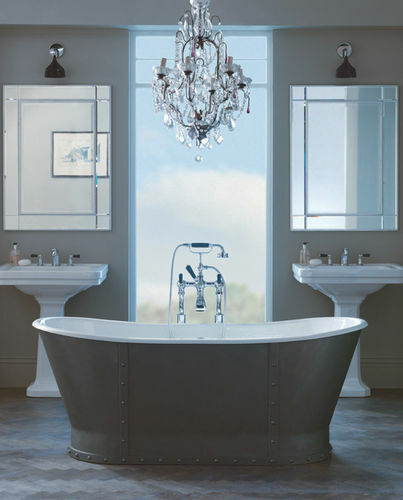 This type of bath is on the expensive side weighing in at $6,500. If you have two sinks, pick two matching mirrors to hang above them. Creating symmetry helps a space feel balanced and therefore much bigger than it is. © 2011 by Nuvo Builders. All rights reserved.